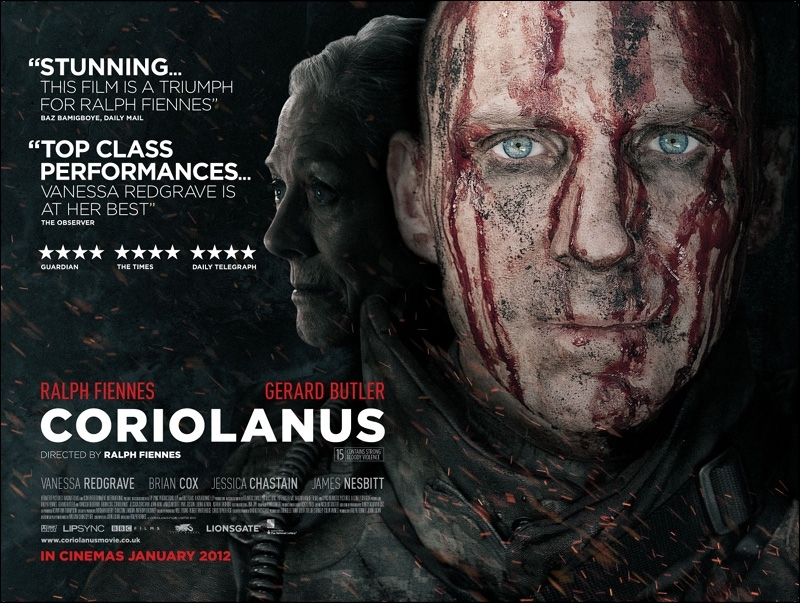 Here is a new quad poster for Ralph Fiennes' new film Coriolanus, based on one of the great stories of William Shakespeare. Fiennes stars and makes his directorial debut in this gritty looking film. Cinematographer Barry Ackroyd (The Hurt Locker) and cameraman Oliver Driscoli (Green Zone) worked on the project. The film also stars Gerard Butler, Vanessa Redgrave, Brian Cox, Jessica Chastain and James Nesbitt.